Description: Rare find. 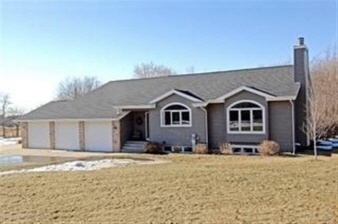 Beautiful home on 9.38 acres & mcfarland schools! This home has so many wonderful features: 4 spacious bedrooms, huge master suite, and spacious open living room open to kitchen make this wonderful for entertaining! You'll love the new addition including family rm with vaulted ceiling, huge bedrm with walk-in closet, bath, fireplace & finished ll plus a 3+ car garage. Low pleasant springs taxes. Don't miss out on this one!